This year at Devonia we have watched Devon flourish once again from summer to winter and with a great appreciation have marvelled at its beauty as another year has passed. 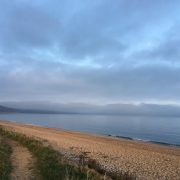 We have made a strong effort to be leaders in the essential movement away from single use plastic and become a top solution to ocean plastic pollution in an effort to preserve places like dreamy Devon. 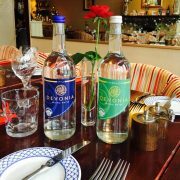 We have taken on new customers and are proud to have led local businesses down a more sustainable and environmentally friendly route by supplying them with Devonia water. This christmas, we would like to invite you to become a part of our circular economy and we have no intentions of leaving anybody out! Christmas is the most wasteful time of the year, we get rid of tonnes of re-usable materials in endless black sacks that are then buried at landfill sites. We want to spread the message far and wide and ask everyone to be mindful this christmas and not cause excess waste. After all, why should our planet suffer at the cost of us having a jolly ol’ christmas on it? At Devonia we care about our planet. We focus on making small and affordable changes that have a big impact! We learnt that this year 33% of plastic marine pollution came from the littering of drinks bottles and that one million plastic bottles are bought EVERY MINUTE across the globe! Fewer than half of the bottles bought in 2016 were collected for recycling and just 7% of those collected were turned into new bottles. Instead, most ended up in landfill/ the ocean (Surfers against sewage). We are proud to boast our impressive 83% re-use rate and to be pioneers in reversing these shocking statistics. We believe that we have fantastic and sustainable business initiatives and although it might only be small, we ARE having a positive impact. We are dedicated to our movement away from single use plastic and are actively encouraging other beverage companies throughout the country to adopt our re-use methods. We are committed to local businesses, sustainable thinking and eco friendly methods especially around this time of year. Are you? Remember it is the small differences that have a huge impact. A little bit of mindfulness where pollution is concerned could bring the planet a whole lotta’ love this christmas. There is no better gift than that, right? We are now faced with a new year and we look forward to advancing our efforts further and spreading our message wider in the hope of an even more successful and impactful 2018. Merry Christmas to all of our lovely customers and thank you for your consistent love and support! In June, myself and another m ember of the Devonia family were lucky enough to visit Bali, Indonesia, for some well earned relaxation. Whilst taking in the fascinating architecture, authentic culture and the breathtakingly beautiful landscapes, one thing became hugely apparent whilst we were there. Plastic was prevailing all over the island. Now, the Indonesian government have pledged to invest $1 billion in reducing marine waste by 70% over the next 4 years (Jacopo Prisco, CNN, 2017). This is a massive step forward in helping the Indonesian people to overcome their plastic problem and understand what recycling is all about. 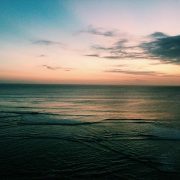 Whilst travelling Bali, we witnessed small changes that were already being implemented. Many of the cafe’s that we visited had water dispensers and offered free refills for your own water bottle. They had introduced the use of glass, reusable straws instead of giving out plastic straws with the thousands of delicious smoothies and drinks they sold daily. The most impressive movement we heard about was one that had been created by Melati and Isabel Wijsen, two girls who aimed to completely eradicate the use of plastic bags on the island. Melati and Isabel were only 10 and 12 years of age when they started the campaign to ban the use of plastic bags locally in the hope that they could make a difference globally. 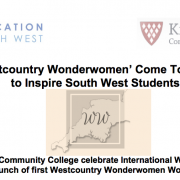 Impressively inspiring hey? Well, not only did they come up with this innovative idea, but are succeeding in spreading their message worldwide and spearheading the end of plastic bags in Bali. Aside from exploring, su nbathing and eating (a lot), we spent the majority of our time in the water surfing. 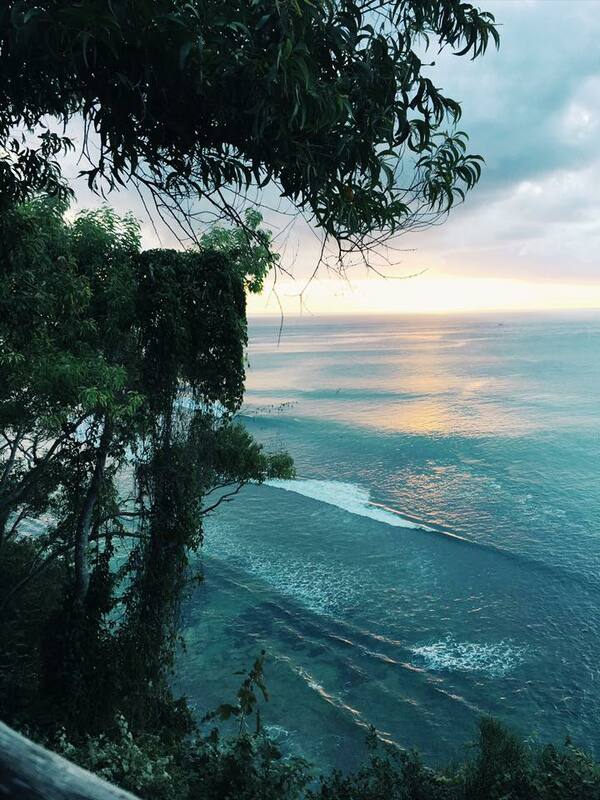 Thanks to epic swells, warm sea’s and views that are to die for, Bali has become one of the biggest surfing hubs in the world. The surf industry therefore generates a huge amount of tourism and is an important part of the Balinese culture. Having said this, it has a scarily dangerous carbon footprint in terms of board production that involves numerous toxic products. Luckily, the typical surfer (if they’re smart) will want to conserve the ocean and beaches if they want the sport to live on. Huge surf brands such as Starboard are taking dramatic steps to reduce their carbon footprint by up-cycling pre used materials that have a limited impact on the environment. They are also joining forces with ocean protecting organisations that are helping to drive these environmentally friendly methods of design. So, what is the point in all of this and how does it relate to Devonia you might ask? Well, Bali might be over 7,000 miles away from us here in Devon but we too have some of the most beautiful coast lines and beaches that we like to call our home. Thus, we must do all we can to protect our ocean and minimise our waste. We might have more funding than a place like Indonesia and are educated more thoroughly on recycling but that doesn’t necessarily mean we aren’t contributing to the problem. In the UK, we are well equipped to deal with the huge amounts of waste that we produce. We can therefore dispose of it and pretend it ceased to exist but all of that rubbish has got to go somewhere. Over the last ten years we have produced more plastic than we d id in the whole of the last century and a huge percentage of that plastic comes from disposable water bottles. At Devonia we don’t believe in a disposable lifestyle and are proud to say that our business has been derived out of economical / recyclable thinking. We have an impressive 85% re-use rate and every year we save over 7000kg of waste from our landfill sites. We are doing our bit to contribute to a global change and using Devonia as your local water supplier could boost the growth in that change. A thousand small differences will accumulate to one big difference and that change could be integral to the preservation of our beautiful planet. Every single piece of plastic that has ever been produced still exists today; it won’t be in the same place that you left it and will be it will probably be completely unrecognizable – but it is still here and it’s causing havoc to our environment! 50% of the plastic produced is used for disposable products such as bottles, bags and packaging most of which are used only once. Over the last 10 years we have produced more plastic than during the whole of the last century. Plastic makes up 10% of the total waste we generate! By 2050 the oceans will contain more plastic than fish by weight! Now we all know that this isn’t a new phenomenon and recycling schemes to tackle the problem have been around for years, so why are we still going on about this….? Because unfortunately plastic recycling just isn’t enough; it is costly and does not stem the production of virgin plastic products; this has resulted in plastic pollution growing at a catastrophic in our oceans, deserts, jungles and communities around the world. Now it’s all well and good preaching about the problem, but acting on it is a whole different Issue! Devonia Water takes this stuff pretty seriously, and we have shaped our business model around tackling the problem! We genuinely believe that we need to move away from the ‘single use’ packaging model that all our competitors have adopted. Every bottle we sell is collected, washed, sterilised and re-filled. This allows us to boast an impressive 85% re-use rate and every year we save over 7000kg of waste from our landfill sites… More importantly Plastic does not play a part in any element of our production! As you are probably aware by now, Devonia Water Cares about what is happening to our planet, and we got to talking about how important the small changes are in making BIG differences. Every year in the UK we produce more than 170 Million tonnes of waste, the majority of it coming from packaging used to store our food and drinks! Our landfill sites are bursting at the seams, with poisonous materials which just never disappear and our oceans and our green spaces are taking the brunt of it. Now this issue isn’t new, and as a nation we have been making significant steps towards trying to resolve this problem in various ways for over 2 decades but we are by no means perfect and we have a long way to go! Personal recycling makes a HUGE difference, but unfortunately it is just a drop in the ocean, with most of the environmental cost of our throw away wrapping happening upstream during the manufacturing of our products. In fact we were actually closer to solving the problem 30 years ago with Milkmen and bottle deposits. But instead; we now live in a culture where it is acceptable to drink from a plastic bottle ONCE for it to then never to disappear… COME ON!!!! Don’t get us wrong, it is easy to become overwhelmed by the enormity of the problem and forget what fantastic things we are doing to help the issue with fantastic initiatives like the plastic bag charge, bio-packaging for sandwiches, water soluble paper and Refill schemes! Devonia Water takes this all very seriously, and we are the only Spring Water company in the UK which, collects, washes, sterilises, refills and re-distributes EVERY bottle we sell!!! We have an impressive 85% re-use rate! This year alone we have saved over 4000KG of glass from landfill sites and have reused nearly 50,000 bottles. 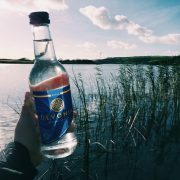 Not only does supplying Devonia Water give you elegant and soft tasting spring water, bottled at source in a beautifully untouched area of south Devon, but we are also leading the way in our industry for sustainable and environmentally conscious packaging! Remember, small changes make the BIG differences…. So contact us today to find out how Devonia Water can help you! 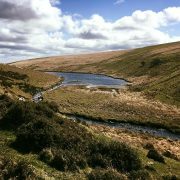 http://devoniawater.co.uk/wp-content/uploads/2017/04/17884092_10101201717033467_4024940007363227692_n.jpg 720 960 Devonia http://devoniawater.co.uk/wp-content/uploads/2017/01/logo-blue3.png Devonia2017-04-18 09:27:392017-04-18 09:27:39Small changes making big differences! 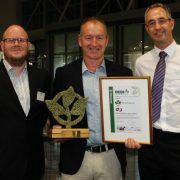 As you may have heard Devonia Water are award winning and market leaders in our industry for eco-friendly business initiatives. We pride ourselves on being the only spring water company in the UK that fully recycles their glass bottles, in that I mean that we collect, sterilise wash and refill EVERY bottle we can. 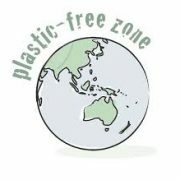 We live in a throwaway society where much of our household and personal waste consists of plastic, cardboard and paper. So much of this material needs to be recycled and there are financial considerations as well as environmental considerations to think of when we fill our bins before collection day… and yes that includes all business waste! Most companies no longer use glass containers, simply because of the expense. It has become much cheaper and more production orientated to produce cartons, containers and other receptacles from plastic. 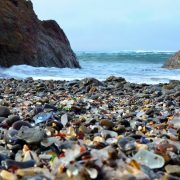 That means that glass is no longer considered as viable when talking about selling and packaging products; and let’s face it, we all know what the disposal of plastic is doing to our oceans, and it is NOT sustainable! Even when glass is used, it is not being recycled properly purely because of refuge and recycling costs. This means that last year 1,000,000 tonnes of glass still went through the residual waste stream and was lost in landfill and will NEVER decompose! As you are all aware we aren’t going to change the world in a day and let’s face it, people still want those extra little luxuries! Therefore it is about making minor changes in the way we live our life and do business which will all contribute to a better future for all our children. So Devonia Water has decided to take a different approach to any other spring water company in the Country; meaning in 2017 so far we estimate that we have saved 6919 Kilograms of glass from landfill sites. So what are the benefits for you….? Competitive Pricing – Our production costs are kept low as we are able to reuse our bottles. This is directly reflected in every quote we offer. Reduced Refuse Costs – We collect the used bottles, meaning less refuge collections and less visits the recycling centre. Providing you a direct cost saving at point of purchase. Peace of Mind – Anything we cannot re-use is disposed off through all proper recycling channels and yes that includes the caps! 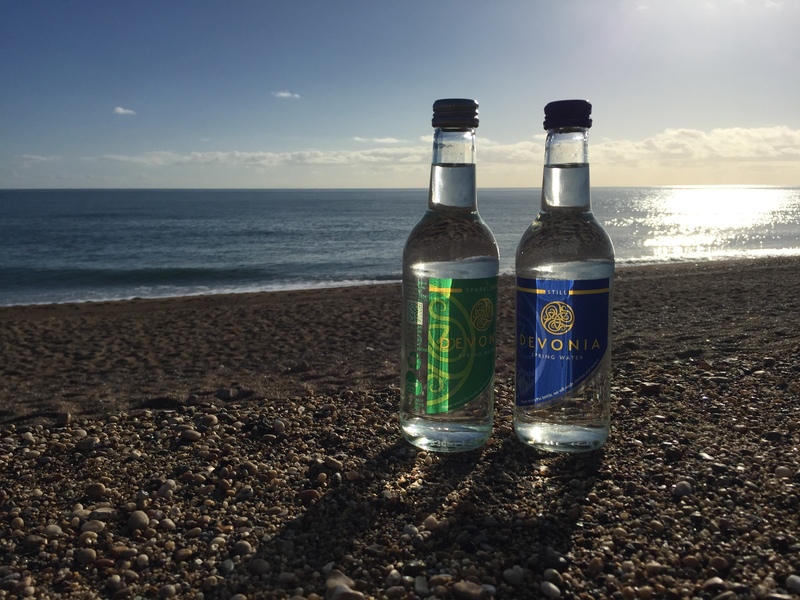 Next time you are thinking about what products you re stocking or purchasing why not think about making a different choice and contact Devonia Water to find out how they can help you and your business. This week we are delighted to launch our new branding and website. After many years, we felt it was time to give Devonia Water a bright, new contemporary look so we’ve invested heavily in new branding, new labelling machinery and a shiny new website. There’s no change to our great tasting spring water, or our commitment to recycling all our glass bottles but we hope you love our new look! http://devoniawater.co.uk/wp-content/uploads/2015/10/fp-banner3.jpg 1001 1500 Devonia http://devoniawater.co.uk/wp-content/uploads/2017/01/logo-blue3.png Devonia2017-01-12 12:33:312017-03-07 15:04:47More Devonia news coming soon!